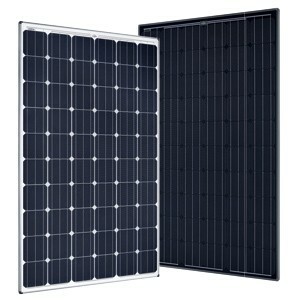 Optimus® modules are known for their superior quality and long-term reliability. These high-powered modules consist of Suniva’s premium ARTisun® Select cell technology and are designed and manufactured in the U.S.A. using their pioneering ion implantation technology. Suniva’s high power-density Optimus modules provide excellent performance and value. Suniva is a U.S.–based company spun out from the Georgia Tech University Center of Excellence in Photovoltaics; one of only two such research centers in the U.S.
1UV 90 kWh, TC 400, DH 2000. 2Tests were conducted on module type OPT 60 silver frame. I am pleased with the production of the suniva module they are above specs consistently. GWS is a good seller as well. Happy overall 5 plus.